Cence believes in the power of entrepreneurship and an entrepreneurial spirit to tackle challenges in our communities, create jobs and to stimulate economic growth. In this spirit, we regularly motivate and support upcoming entrepreneurs in attending various courses, such as the Amandla! 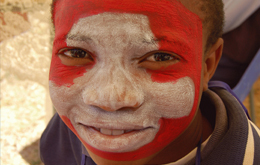 Project – training to equip them with basic business skills through business training. The failure of a reliable energy supply to the South African economy will have long-term consequences for economic growth. Most at risk from this slowdown in economic growth are the poor and their children. An innovative approach by funder agency, Community Chest, has seen the door of opportunity being opened for poor people who wish to secure their own advancement as entrepreneurs. Community Chest, with its commitment to long-term sustainable solutions, decided to launch its Amandla! Project with the slogan ‘Power your home, Empower your life’. The agency has partnered with a technology company to provide portable solar power solutions to the South African market. It believes that providing solar-powered electricity to township and rural communities in South Africa will encourage and boost economic development. Community Chest CEO, Lorenzo Davids, said the portable solar powered EcoBoxx Entrepreneur Kit will help entrepreneurs in townships and rural areas to not only ‘electrify’ their homes, but also use it as a business tool to provide an income into that home and community. 963 candidates from the larger Cape Town area will benefit from this project and will be equipped with the business skills- through basics of business training- and the tools through the portable solar power kit to start their small business. The lightweight, portable kit, which is charged through two solar panels, provides 50 hours of power. Included in the package are two bright LED lights, a USB-driven fan, a pair of hair clippers, and a multi-device cellphone charging cable. It is easily transported and instantly ready for set up at any locale. An aspiring entrepreneur now has the ability to generate an income by opening up a barbershop and selling cellphone charging time anywhere in the community. The projected earnings from utilising the kit are substantial. 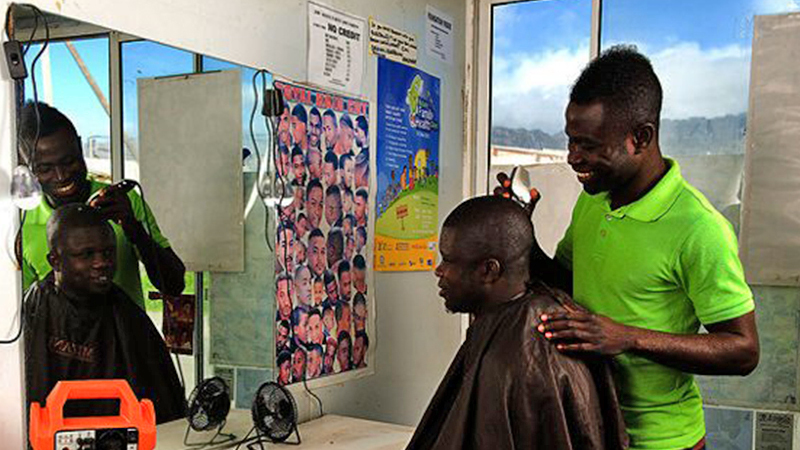 An entrepreneurial barber, who had selected the right location, could earn between R800 and R1,000 per week if they did eight haircuts at R10 and 16 mobile charges at R5 per day, over a 5-7 work day week. Project manager Merle Mills said that apart from having a go-getter attitude, candidates ideally needed also to be aware of the needs of their community. “We are looking for self-starters. Active citizens who are intuitive about their communities, and have ideas of how to better their neighbourhoods, such as using the kit to provide light for learners to study at night or lighting dark street corners as an increased safety precaution,” she said.